With the interactive Original Angel® Cards App you can start and close the day with a moment of meditation. Once a day you can conjure an Angel. The Angel you call on for support helps you to see things that will arise that day from a fresh perspective. Making notes about your direct thoughts, the Angels view and your inspiration for the day, generates a personal diary that reflects deeper knowledge about yourself. Choose an Angel out of 72 available Angels, for yourself, for someone else or a special occasion. Finding focus for the day. Clarify your intentions and note your reflections in your journal, creating your personal Angel Cards diary. Share your daily Angel with friends and relatives via Facebook,Twitter or various other social media. Get inspired by the pleasant harp sounds and tunes attached to each specific Angel. Review your Chosen Angels and get inspired by them anew. Share them for special occasions. Review your written Journal entries, add to them and share them with specially selected friends. Enjoy the Angel of the Month, picked by Joy Drake and Kathy Tyler, creators of the Original Angel® Cards. Set the calendar reminders (twice a day) to the time you wish to receive them. Become a member of the Angel Cards Community Facebook group.  Connect to the Mind and Soul Network website to keep up to date with progress in developing further Transformation Game Apps. Because this is what it is about: Transformation, inspired by Angels. The Original Angel® Cards App offers you each and every day the opportunity to meet one of 72 Angels, to carry with you during the day. Each Angel can help you to focus on a particular aspect of your inner life. They will act as your partner in attaining a goal, leveraging your strengths to find unexpected solutions and discover unknown paths to express who you are and what connects you to the people around you. Writing about your experiences in the App’s Journal helps you to find patterns in your personal behavior and thoughts, and brings about knowledge about yourself and your unique connection to your environment. Enjoy the Angel of the Month, picked especially for users of the Original Angel® Cards App by Joy Drake and Kathy Tyler, creators of the Original Angel® Cards. When, some 33 years ago, we decided to start producing the Original Angel® Cards, while living at the Findhorn Foundation in Scotland, we hand cut and collated them. Now, after 1,4 million sets sold worldwide since that time, through the virtual skills of the team at the Mind and Soul Network who developed this App with our guidance, we can bring the uplifting and inspiring messages of the Angels to even more people. We hope this App will support you in weaving intuitive promptings into the fabric of your everyday life. Let the Angels inspire you to risk a response to life that is spontaneous, fresh, and enlivening. Allow the Angels to guide you to act in congruence with your highest values and integrity. Our deepest wish for you is that you develop the ability to trust your intuition and live your life from the inside out. May this new incarnation of the Original Angel® Cards support you in moving forward to meet the new in your life with openness and angelic assistance. And may our collective contributions increase global peace, harmony, and wisdom. We offer huge thanks all round. The Findhorn Foundation, situated in the north east of Scotland, is a spiritual community, eco village and an international centre for holistic learning, helping to unfold a new human consciousness and create a positive and sustainable future. 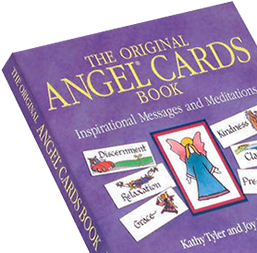 The Original Angel® Cards were Originally developed as part of the Game of Transformation at the Findhorn Foundation by Joy Drake and Kathy Tyler, the first Game workshop being offered there in 1978. Since then the Original Angel® Cards feature strongly in the community's spiritual practice. The Original Angel® Cards App will - in this new digital age - certainly help custom users of the Cards to find new ways of communicating with their Angels and attract a new public all over the world. Updated version 1.4 is launched! For Dutch language readers: In the renowned 'Happinez' magazine an interview with developer Joop van Wijk appeared about our motivation to develop Apps like the Original Angel® Cards App. Original Angel® Cards App users will be able to communicate with other users of the app all over the world. At the same time of the launch of Original Angel® Cards App a special Facebook Group, the Angel Cards Community is put in motion. Users of the App can share their experiences and chat with other users of the Original Angel® Cards App, make wonderful new Angel friends and make their own language groups. The Original Angel® Cards are available in a hardcopy in English, Dutch, German, French and Portuguese. A set includes, besides the 72 Original Angel® Cards, a booklet with extra information, such as guided meditations. Mind Soul Network was founded in 2014 with the aim to develop digital tools for education, information and entertainment in the area of healthcare, care, well-being, coaching and spirituality. The current focus of Mind & Soul Network is to publish the Original Angel® Cards, the Intuitive Solutions® and the Transformation Game® as Apps. These special and valuable games already exist in paper versions since 1981, when the Original Angel® Cards were first published. The scenery of the world and our attributes change, but the need for well being and spirituality will be there as long as humans will roam the earth. Mind and Soul Network hopes to spread these messages of spirituality and inner peace further in the modern - digital - world. Originally a Medical Doctor, Joop van Wijk switched to film production and direction. One of the programs he made for Dutch television was ‘The Game of Change’, based upon The Transformation Game. That’s how he got involved with this game and the Angels that are such an important part of it. Ever since his ambition has been to develop the Transformation Game and its derivatives into interactive Apps and digital Games. ‘Why would a doctor and filmmaker be involved in something like an Angel Cards App'? Like many people I was prejudiced. I regarded talking and thinking about the ‘angels in your life’ as something for the spiritually inclined. As a doctor with a preference for the psychological side of medicine and as a documentary filmmaker, I was merely interested in ‘true’ emotions and peoples’ motives. Having spent some time on creating the Original Angel® Cards App, as a first step towards the full blown Transformation Game® App, my thinking has evolved. This relates to notions about the necessity of dealing with ‘coincidence’ in life and its relation to the everyday decisions you have to make. A conversation with a good friend made me see that the ‘quality’ one gets by chance with the choice of a card, has nothing to do with (a false) truth or (a vague and multi interpretable) prediction. It’s a possible state of mind that is presented: as an option for you to accept or to dismiss. A focus. This is where the Angel may help, appealing to your own power. So now I see that ‘something like’ an Angel Cards App could play a role, not only for ‘spiritual’ people, but also for youngsters who need to find their own focus in the turmoil of their hectic daily life. For sports people, scientists, politicians and businessmen. For all of us, who are - every now and then - so much in need of an applicable focus. The fact that the Angels in our App address its users in a positive way makes our endeavor a worthy adventure to undertake. Jan M. Tromp is a former physician/psycho- and system therapist & CEO of Psychiatric Institutions (lately GGz Breburg, Tilburg) in the Netherlands. Nowadays - in his so-called career 2.0 - he works as a Boardroom consultant, coach, personal advisor and teacher. He is the President of the Board of the Utrecht district of the Royal Dutch Medical Association (KNMG). He is also an enthusiastic amateur photographer and painter. ‘Creativity’ is a leading force in his life and work. ‘Why would a psychotherapist and CEO be involved in something like an Angel Cards App'? It’s easy to say that an MD/psychotherapist should always be interested in the mind & soul connection. The boundary between wellbeing and illness is a very thin one. My personal experience with the Transformation Game was very impressing and offered a new rich adventure. It also helped me to make the right decisions. So spreading the opportunities of this powerful Game has since then become an endeavor. Nowadays the Internet is the place to be for that reason and the very purpose of Mind and Soul Network is to develop the one and only ‘Transformation Game’ into a healthy and enriching spot ‘in the Cloud’. And the first and firm step to reach that goal is the one and only Original Angel® Cards App. Besides the inner power - of each card at each moment - that it can bring to anybody, the App is for us a form of crowd-funding. A necessary step to develop the ultimate goal: The Transformation Game. Pieter Jonker is professor of vision-based robotics at the Delft University of Technology in the Netherlands. His work involves research and design of human inspired household robots for frail elderly, in which the cognitive abilities of those robots are crucial; the robots must learn to see (image processing) and understand what is going on (pattern recognition), in order to make wise decisions how they can help (learning from illustration and reinforcement). ‘Why would a professor in Robotics be involved in something like an Angel Cards App'? Being a scientist is honestly searching for the truth; how do things really work? That is not easy while "attractors" like money, fame, impatience, lack of time tempt us. Not only the physical world but also you in relation to others in your network of colleagues, friends, students are prime enablers of your success and well-being. So it is always good to step back and reflect on what you do and why you are doing it. In science one talks about "caught in a local minimum; a pit where so far you can't get out by the actions you take". The scientific answer to that is taking a random step in any direction. By this you might come into unexplored area but out of the pit. The Angel of the day does something like that. It helps you reflect on "what bugs you" from another viewpoint, often surprisingly to the point. It helps you to see problems in their proportion and motivates you to start the day refreshed in an often unforeseen way. In the evening you can meditate about it and harvest what you learned today about yourself and the world.